Confusion is common when laws change. This may be even more true with health care reform, since nobody — including those in Congress who created the law seems to understand it. One thing is certain, scam artists are out there taking advantage of the lack of knowledge and stealing from trusting victims across the country. There’s been a rapid increase in scams, exploiting the confusion over health care reform, confirmed Jim Quiggle, the spokesman for the Coalition Against Insurance Fraud. People are uncertain what it means to them and swindlers are going wild on the telephone, calling seniors and others with scams that are aimed at stealing their identities. Medicare open enrollment is coming up soon, and this means thieves are even more active than usual. Some scam artists will try to tell you the Supreme Court overturned Obamacare, or that Congress repealed it. However, neither one of these claims are true. There has been a delay that pushes some of the Obamacare demands back a year, to 2015, but otherwise, the law still stands. Thieves are counting on us to be confused, and therefore to be putty in their hands. To avoid their lies, you need to know what the scams are. * A caller may say, We are calling about your need for Obamacare coverage. If you don’t have it, you could go to jail. Sound pretty bold? Thieves do tend to be bold. Quiggle says to be wary of anyone who tries to sell you a policy related to Obamacare (by the way, the real name is the Affordable Care Act). Quiggle says, it is not true that people will be jailed for not having coverage. However, U.S. citizens and legal residents will be required to have coverage, which qualifies according to the law or face an income tax penalty. This raises a question about people in the country who are not citizens or legal residents. How will Obamacare figure into their lives? This seems to be one of those questions nobody can answer with certainty. 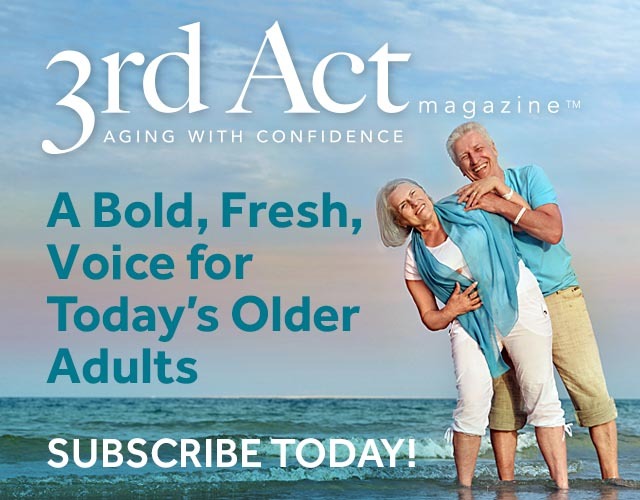 * Greg Abbot, who is the Texas Attorney General, warns senior citizens to be alert to people posing as Medicare officials. The motive, he said, is to steal your identity. In a consumer alert, his office said: identity thieves are calling Texas seniors at home, and claiming to be affiliated with the federal Medicare program. The callers falsely tell seniors that the Medicare programs current identification cards which are well known for the red, white, and blue stripes across the top are being phased out, and that replacement Medicare cards must be obtained in order to continue receiving benefits. Thieves then say, the only way to get your replacement card is to confirm your Medicare number and your bank account number over the phone. Of course, your Social Security number is printed on your Medicare card, so this is the prize they are after. Be aware, scammers will call and make polite conversation, asking questions designed to make them sound interested in your life. What senior center do you go to? They might even offer a story or two about their own grandparents. They could come up with something they claim to have in common with you, to further cement the bond they are creating, and win your trust. For example, Your name is Lucinda? That was my grandmas name! Once they feel they have your trust, they go in for the kill and request your personal information, said Quiggle. No one is really immune from getting these calls. A prime target may be a lonely senior who wants to chat, and is flattered by the attention. They go after people in all walks of life, levels of income, and education. Keep in mind, major federal agencies, including the Internal Revenue Service, Medicare, and Medicaid, do not call you or e-mail you to ask for your personal information. If they need to talk to you, you will likely get a letter through snail mail. Therefore, if you get such a call, hang up loudly. If the caller asks you to push a button on the phone, such as press 1 to talk to an operator, dont do it. Pressing certain buttons may be part of the scam, and you may be giving your consent to charge, or opening your phone line to long distance charges. Dont fall for the sweet voice on the other end of the line which reminds you of your granddaughter. If you get an e-mail claiming to be from the IRS, Social Security, Medicare, Medicaid, or any other federal agency, dont click on any links, just delete the message. Another type of health care scam relates to specific conditions. They may target people likely to have cancer, diabetes, heart disease, HIV/AIDS, arthritis, Alzheimers and more. With prescription drugs costing so much, they may make you a free offer in exchange for your Medicare ID#. The Food and Drug Administration (FDA) warns consumers about the dangers of buying medicines online. Number one, you dont know what you are getting. Some drugs are dangerous and not thoroughly tested, may have the wrong active ingredients, (too much or too little) yet websites will offer to sell them. Example: The FDA bought several products online to analyze and test them, such as Tamiflu. One of the orders arrived in an envelope, which was mailed from India. It contained unlabeled white tablets. When the tablets were analyzed, they contained talc and acetaminophen, but none of the active ingredient of Tamiflu. Other drugs, which the FDA says are being ordered online are: Ambien, Zanax, Lexapro and Attivan. these boards is available at the website of the National Association of Boards of Pharmacy. It requires a prescription for prescription medicines from your doctor, or another health care professional who is licensed to prescribe medicines. It provides contact information, and allows you to talk to a person if you have problems or questions. Another way to check on a website is to look for the National Association of Boards of Pharmacy’s (NABP) Verified Internet Pharmacy Practice Sites Seal, also known as the VIPPS Seal. This seal means that the Internet pharmacy is safe to use, because it has met state licensure requirements and other NABP criteria. Visit the VIPPS website to find legitimate pharmacies that carry the VIPPS seal. It gives you the wrong drug, or another dangerous product for your illness. It may offer to sell prescription drugs without a prescriptionthis is against the law!